allows you to outsource semi-standardized tasks. Support might be the solution for you. Unlike business Process Outsourcing (BPO) solutions, which allow you to outsource a complete department with standardized tasks, Back Office support. Do you have a website that is not attracting traffic? If it is so then you are really missing a big opportunity! Millions of people search online for different products/services on daily basis. These millions of people also include those who search for products/services that you deal in. So, if you're not in search engines' top ranking, your online presence becomes purposeless.We help our clients in achieving top search engine rankings! There are different ways of bringing your customers to your website and these ways are collectively called Internet Marketing. If your internet marketing is right, you will have unbelievable response! Kaya Systems has helped several small to medium-sized businesses in earning a right share through their web presence. How to be at the top of Google, Yahoo and Bing searches? What is art of getting more subscribers? How social networking sites help you build credibility? How can your existing customers bring you repeat business? At Kaya Systems, we answer all these questions including several others that are related to your business growth. Through analytics, we ensure that our marketing strategy brings you relevant traffic. We provide you with the step-by-step report of our activities and the generated response. Search Engine Optimization (SEO): This includes both the onsite and offsite services. The blend of both these keeps you at the top of search engine rankings. Copywriting: Through our influential copywriting services, we attract traffic to our clients' websites or help them get more subscribers. Our copywriting services include: web copy, ads, brochures, press releases, emailing, blogs and articles. Social Media Marketing (SMM): facebook, Twitter, YouTube, LinkedIn and several other social networking sites have millions of users. We not only build and manage your business profile, but also interact with your target market to develop a long-lasting business relationship. 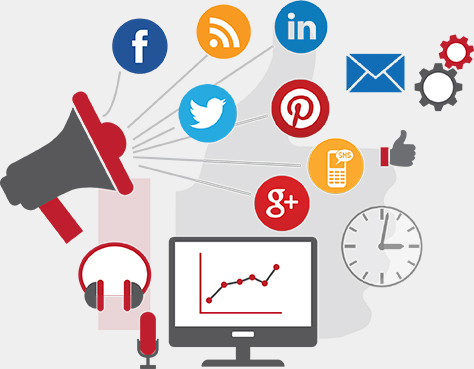 Ultimately, we help you in developing your brand image at social web. Online Reputation Management (ORM): Your reputation at online channels has direct link with your business growth. SEO, blogs or social media are some of the several different ways that we use to manage our clients' or their brand image. Contact us today and we will tell you what marketing strategy can best work for your business.